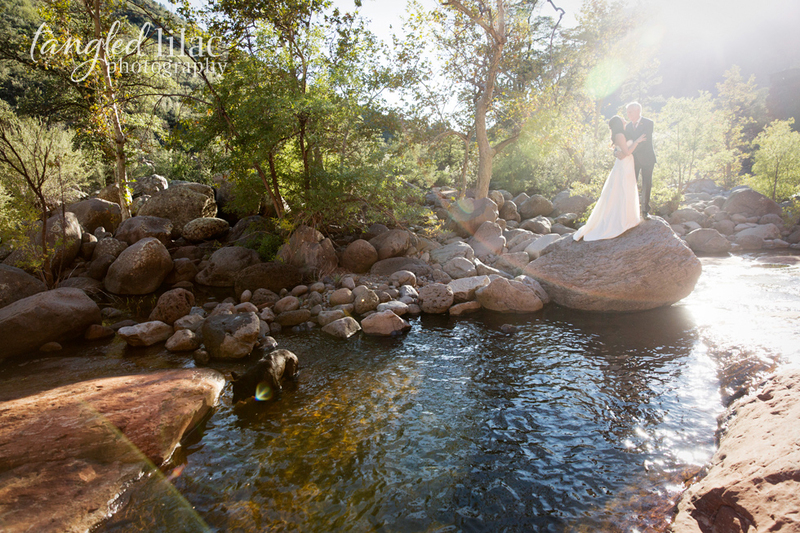 On a beautiful fall day in Sedona, Sarah and John were married at a picturesque home in Oak Creek Canyon surrounded by their closest friends and family. 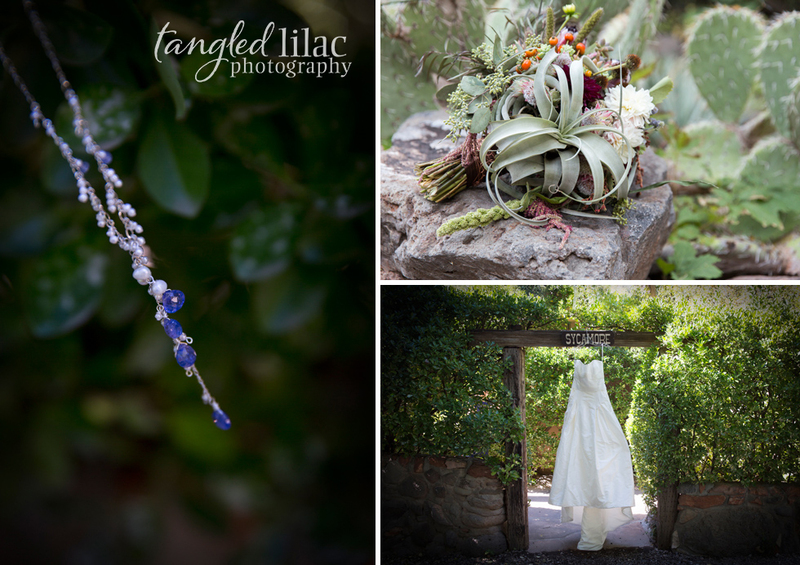 Sarah, who makes custom jewelry, wore a piece she made just for her day and it was spectacular. 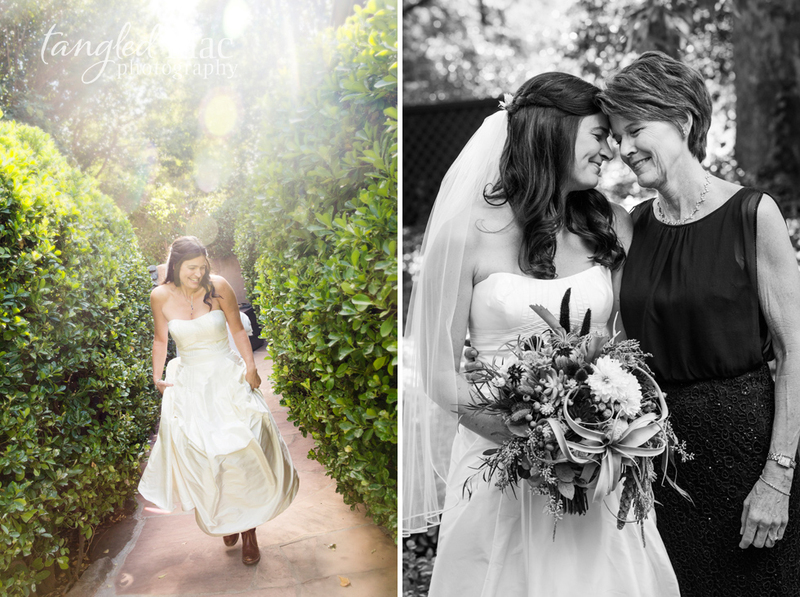 Her Anne Barge gown, simple and classic, was perfection. 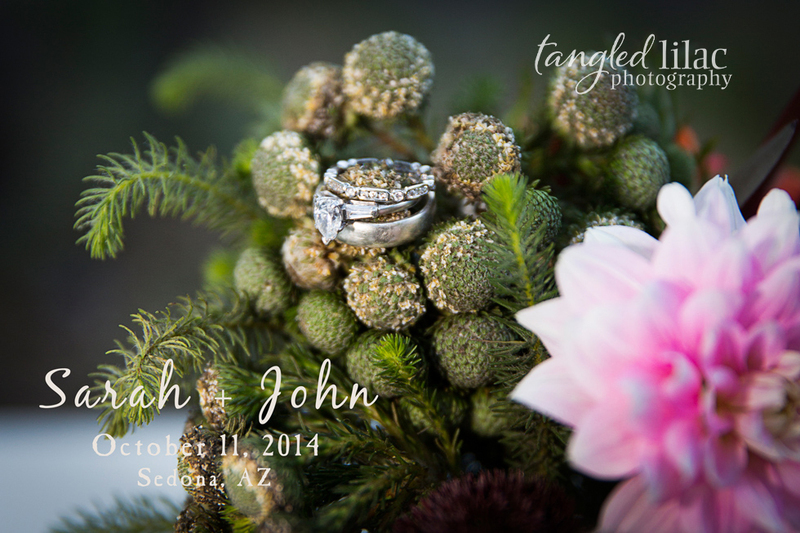 Shawn at Foster Wright Floral Design designed Sarah’s gorgeous bouquet and the ceremony and reception area flowers. 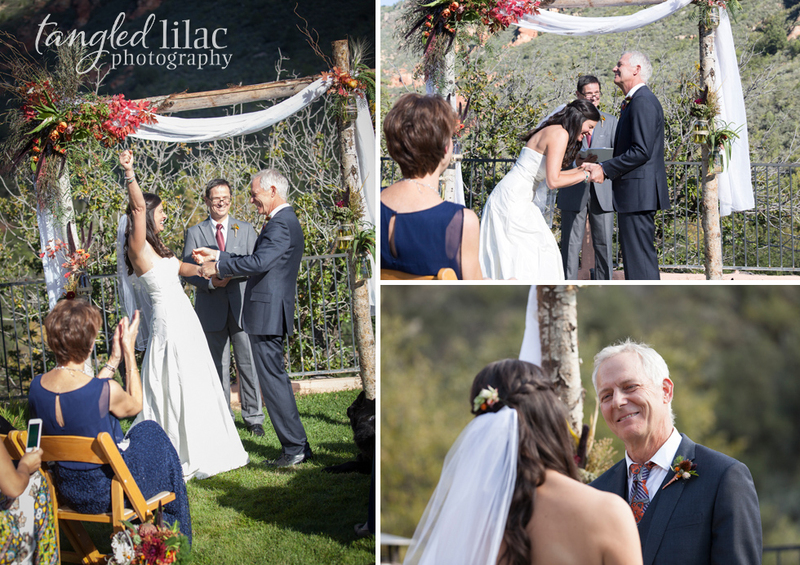 The ceremony was so sweet and everyone at the intimate ceremony found themselves tearing up at the authentic vows. 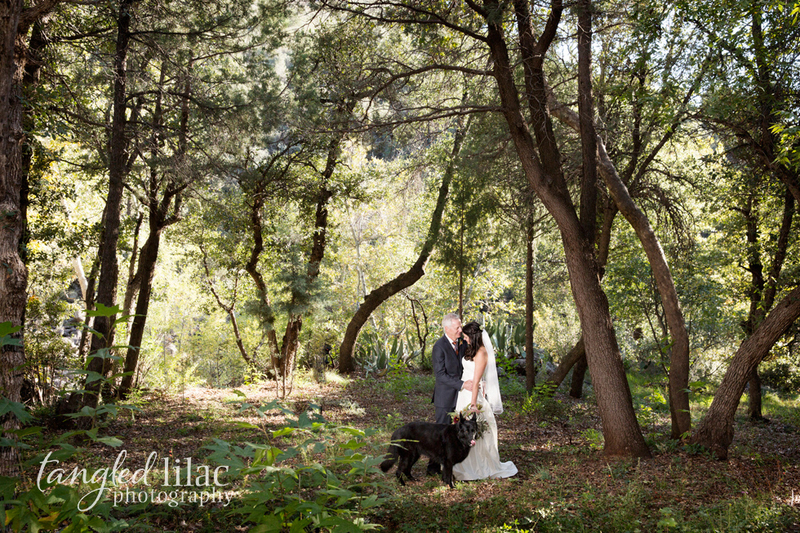 After the ceremony, I spent some time hiking along a creek near the property with the couple and their dog, Juniper. 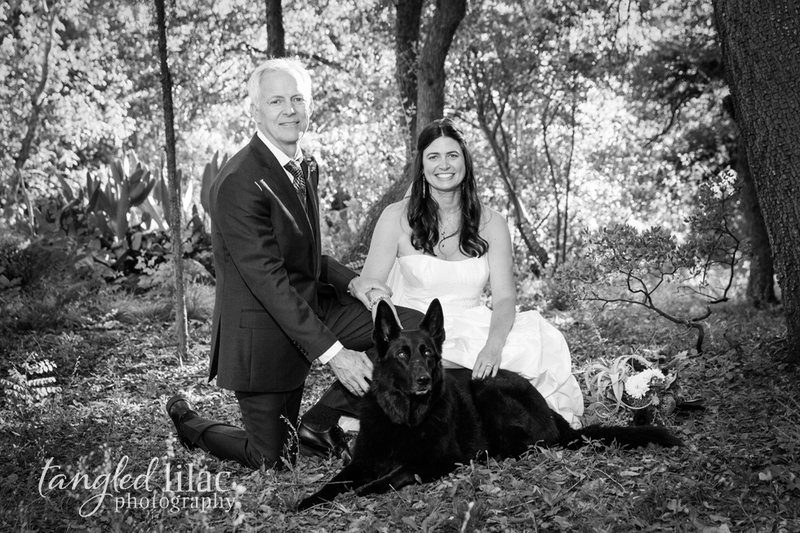 Juniper is a gorgeous black German Shepherd who has been with Sarah since she was a puppy. In fact, Sarah met June when she was just a few weeks old when Sarah had been asked to help socialize a litter of puppies. (That has to be the best job in the world!) June, of course, spent most of her time in the creek, and we laughed at her antics. 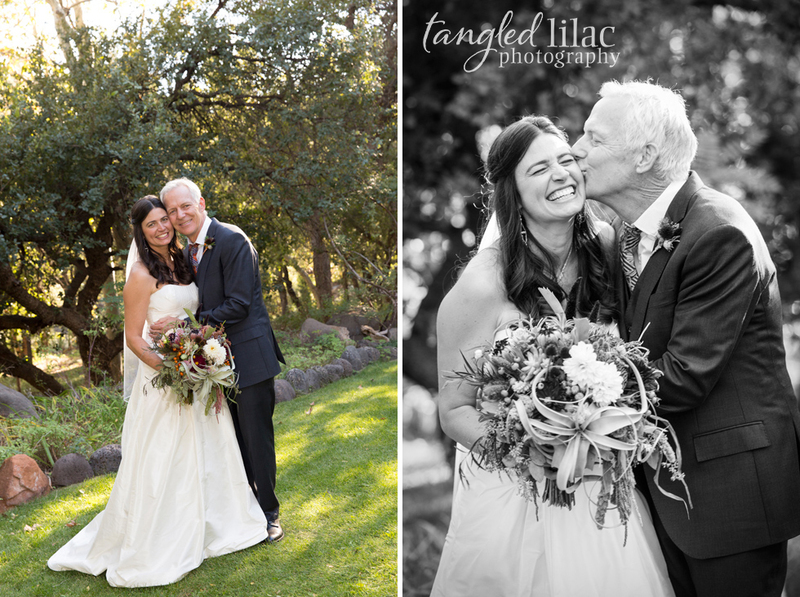 The couple was so sweet to photograph, you could really see their love for one another through the lens. 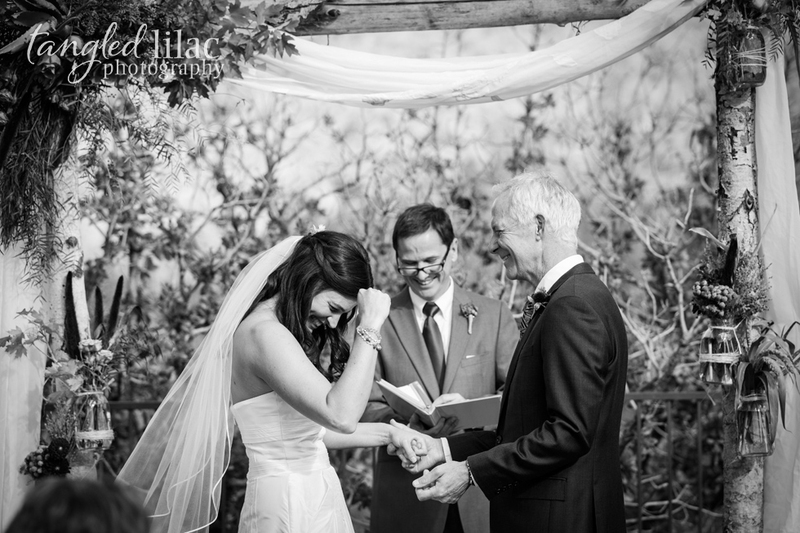 It was an amazing day and I was so honored to have been there for Sarah and John. Congrats you two!